Usumanu Danfodiyo University, UDUSOK UTME and Direct Entry Admission List for 2018/2019 Academic Session. 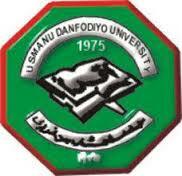 This is to inform those candidates that chose Usmanu Danfodiyo University Sokoto for 2018/2019 Admission that the admission list has been released. Kindly log on to UDUSOK admission status checking portal via http://admissions.udusok.edu.ng/checkMyAdmissionStatus.php. Congratulations to all Admitted Students!!! !